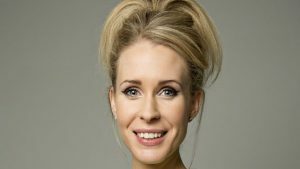 Comedian Lucy Beaumont is to explore her home town of Hull in a new BBC Two documentary designed to coincide with its UK City of Culture status. Beaumont will ask what legacy the year-long event will leave on the city in Welcome to Hull – City of Culture 2017 (1x30). Best known for her BBC Radio 4 comedy To Hull and Back, she will take viewers on a whistle-stop tour of her home city, from the Old Town to the marina, as she explores what makes the city unique. She will also talk to the likes of actress Maureen Lipman and writer Richard Bean, and consider the legacy of Hull’s foremost cultural figure, the poet Philip Larkin. The documentary also finds out how smaller communities are engaging with City of Culture 2017 as Lucy follows an arts project in which residents are creating a light spectacle, with their high rise blocks being lit up at night in bright colours inspired by maritime flags – a nod to the city’s long heritage as a fishing port. Welcome to Hull – City of Culture 2017 is produced by Georgina Leslie and executive produced by Janet Lee. It is commissioned by Mark Bell, Head of Arts Commissioning, BBC. It will broadcast on BBC Two next month.